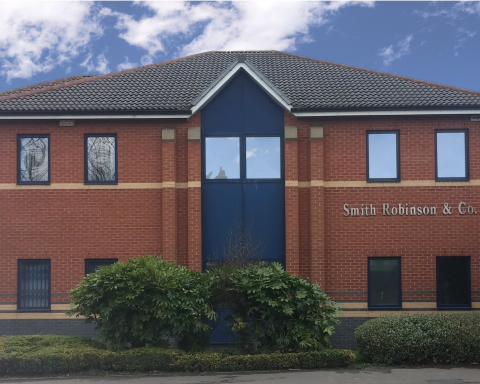 Welcome to Smith Robinson & CoWe’ve been providing Financial Advice to Commercial and Private Clients for over 30 years. Smith Robinson & Co provide Financial Advice in Protection, Investments and Retirement Planning. We help both Corporate and Private clients meet their financial requirements through understanding individual needs. We are ‘whole of market’ in our research and have access to leading technology which enables us to ensure all options are covered before a recommendation is made. We understand that financial matters can be complex and pride ourselves in talking in plain English so that our clients understand any solution before proceeding. We build ongoing relationships so that as clients move through their financial life, we’re there for them. It’s important for you to keep an eye on how your money is growing. We offer online access to your invested portfolio through our selected investment platforms. We offer a range of portfolios to suit your investment needs. Ranging from provider designed to more bespoke solutions. We have implemented many group pension schemes to comply with the Auto Enrollment requirements. Speak to us about your firms requirements. Whether you own a company and require protection for your business or want the piece of mind your family are protected, we can meet all requirements. We provide a wide array of specialised advisory and strategic services for our clients. Finding a home for your hard earned savings has been increasingly difficult with low interest rates. We specialise in investments for both growth and income. Your pension fund is often your largest savings plan and one you’ve been committed to throughout your working life. It’s therefore essential you make the right choices at retirement. We can help find the most appropriate solution for you. Nobody wants to pay more tax than they need to. We offer solutions to reduce your tax liability on income and additionally ensure the liability on your estate is reduced on death. Ensure your family is financially protected through life insurance. Cover your outstanding liabilities such as your mortgage or protect your level of earning and lifestyle. We provide Key Man Protection, Death in service schemes, Shareholder/Partnership Protection and Sick pay schemes. Smith Robinson has advised hundreds of commercial and personal clients since 1979. We’ve put together a website to compare drawdown plans. Compare ongoing costs, Provider features and available investment choices. If you have a defined benefit pension and wish to explore the possibility of transferring this, to access your fund more flexibility, speak to our pension transfer specialist. Mortgages play a big role in our monthly expenditure. In recent years it’s been difficult to change mortgage provider, this is now changing. Tell us about your current mortgage and we’ll see if we can free up some monthly expenditure. Health insurance allows you to receive priority treatment for any medical emergencies, rather than waiting for the NHS. Cover is available for basic healthcare costs too fully inclusive arrangements. We are fully qualified to Financial Conduct Authority (FCA) standards and practice their code of ethics. We ensure advice is provided in plain English and understood before proceeding. We offer a friendly professional service. No obligation or cost initial chat. Depending on the type of advice you require we charge on both a commission and fee basis. We are fully upfront with our costs as we feel they are the most competitive you’ll find. If you take financial advice you are fully protected against this advice. If you chose your own investments or take out your own protection, you’re responsible for your own actions. The first part of our service is to hear your questions and let you know where we can help. This is without obligation or cost. If you wish to go ahead with advice we will spend time understanding your circumstances and finances through the means of a more in-depth meeting. Once we have done our research, we will provide you with a recommendation for a course of action and follow this up with a report if you wish to proceed. We will carry out a full review on your attitude to investment risk so that we can recommend the most suitable portfolio of investments that matches your needs and experience. If you have an investment portfolio with us it’s important that this is reviewed regularly. Stock markets change and so does your attitude to risk as you go through life so we ensure your investment matches your ongoing needs.